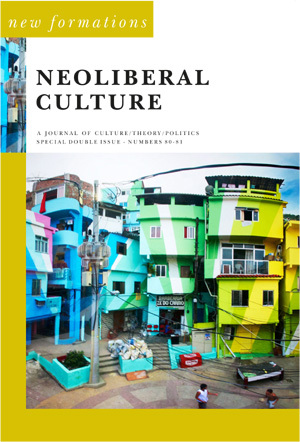 Dr Jo Littler’s article ‘Meritocracy as plutocracy: the marketising of ‘equality’ within neoliberalism’ has been published in a special issue of New Formations on Neoliberal Culture (December 2013). 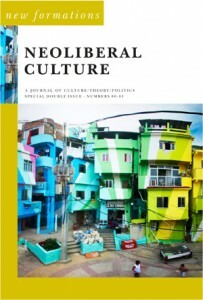 Her article is free to download here http://www.lwbooks.co.uk/journals/newformations/contents.html . It is currently being translated into Chinese. Meritocracy, in contemporary parlance, refers to the idea that whatever our social position at birth, society ought to facilitate the means for ‘talent’ to ‘rise to the top’. This article argues that the ideology of ‘meritocracy’ has become a key means through which plutocracy is endorsed by stealth within contemporary neoliberal culture. The article attempts to analyse the term ‘meritocracy’, to open up understandings of its genealogy, and to comprehend its current use. It does so through three sections. The first section considers what might be wrong with the notion of meritocracy. The second traces some key points in the travels of the concept within and around academic social theory, moving from Alan Fox and Michael Young’s initial, disparaging use of the term in the 1950s, to Daniel Bell’s approving adoption of the concept in the 1970s, and on to its take-up by neoconservative think tanks in the 1980s. The third section analyses the use of meritocracy as a plank of neoliberal political rhetoric and public discourse. It focuses on the resonance of the term in relatively recent British culture, discussing how what it terms ‘meritocratic feeling’ has come to operate in David Cameron’s ‘Aspiration Nation’. This final section argues that meritocracy has become a potent blend of an essentialised and exclusionary notion of ‘talent’, competitive individualism and the need for social mobility. Today it is a discourse which predominantly works to marketise the very idea of equality.